What Fitness Equipment Do You Need For A Home Gym? Whether you're a gym rat living the fitness lifestyle and knowing that you will train for as long as you'll live, or you're a regular person that wants to work out more often without having to go to a gym, then a home gym is a good investment. All you need is a free room (or a basement or garage) and a good amount of money to begin with (depending if you want to buy the equipment as new or used). But if you know that you will work out anyway in the years to come, the initial investment is definitely worth it because you would pay for the gym membership anyway. With the money you would pay on gym memberships for 1-2 years you can set-up a decent gym right in the comfort of your own home or apartment. If you can afford it, a multi-station device is a great choice for any home gym. You will be able to perform a wide variety of exercises for all muscle groups, thus saving a lot of space. But if you can't afford the multi-station, we'll look at cheaper alternatives below. 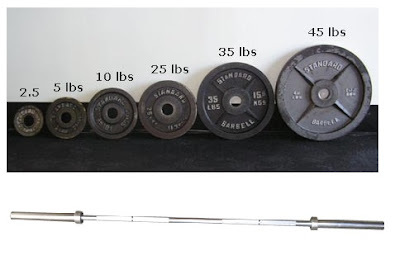 You can train pretty much any muscle group with a barbell, multiple weight plates and some dumbbells. 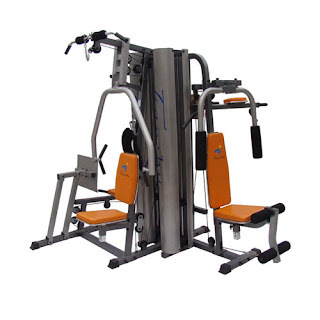 But one exercise you won't be able to do is the lat pull-down (which can only be done at a multi-function station). But with a chin-up bar you can do the alternative version (the lat pull-up) which is just as effective. If you're a beginner, doing 10 pull-ups will be quite a challenge at first. But as you get better, you will perform them much easier. 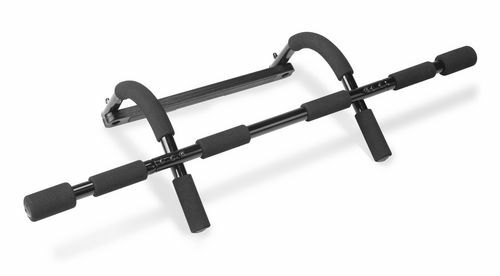 If you get to the point where doing 20 pull-ups is really easy, you can start adding extra weight by hanging a weight plate to your belt (using a chain). If you're serious about weight lifting, you know that the squat is one of the most important exercises of all, focusing on the quads but involving many other muscle groups. If you don't want to be that guy with chicken-legs, then you must have a squat rack, a bar, multiple weight plates and do squats on a regular basis. 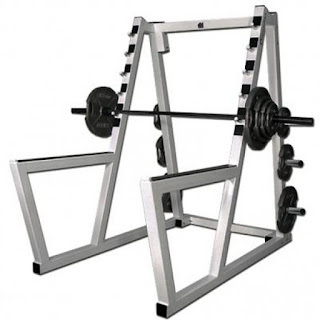 Plus the squat rack can assist you in many other exercises such as the standing barbell presses, bent over barbell rows, good mornings, deadlifts and others. Another of the most basic yet very popular exercises is the bench press. It focuses on the chest, but involves many other muscles of your upper-body. 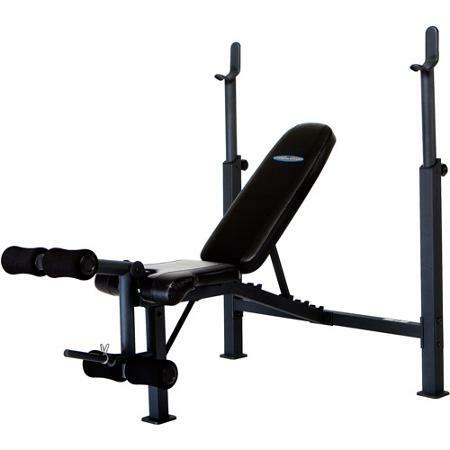 Having an adjustable bench with a bar rack will allow you to do the chest bench press, the triceps bench press, the inclined bench press at a 45-degrees angle, the shoulder press at a 90-degree angle and many more other exercises. As we mentioned before, having a barbell is absolutely essential and will allow you to perform a wide variety of fitness exercises for all the muscle groups of your body. Invest the money in a quality olympic barbell and you won't have to worry about getting a new one for many years to come. You must also add weight to the bar, so having multiple plates is essential. Get 2 plates of each type to begin with (2.5, 5, 10, 15, 25, 35 and 45 lbs) and as you progress with time you can buy more plates if needed. 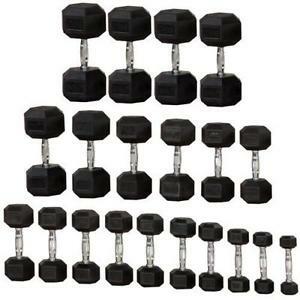 Dumbbells are also essential in gaining muscle & strength, so you will need a wide variety of them. Depending on the space you have in your home gym and your budget, you can either get a pair of dumbbells of each type (starting from 5 lbs and going up to 50 lbs - that means more than 30 dumbbells), or adjustable dumbbells where you have to manually add and remove the weights, or the Bowflex which is an unique set of dumbbells that allows easier change of weights with minimum occupied space. 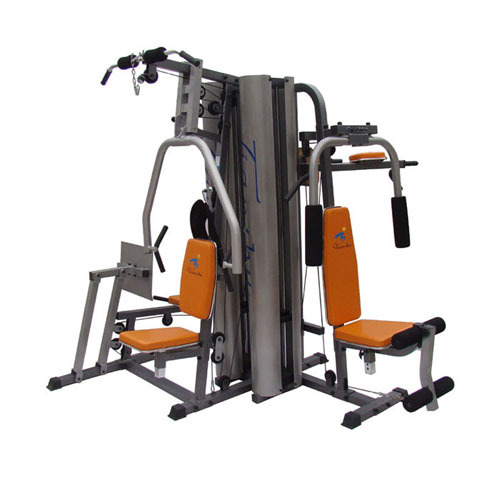 If you and your family members will want to perform cardio exercises as well, then you definitely need specific fitness equipment and also some extra money. The cheapest option is to just get a jump-rope as it can be a very effective form of cardio. If you have a medium-sized budget you can get a simple stationary bike and if you have more money to spend then you can get an advanced exercise bike, an elliptical trainer or a treadmill. So there you go...some basic equipment that will make a successful home gym where you and your family can train happily ever after.